Mark’s career spans the real estate, banking, and energy markets. Prior to launching Merrick Group in 2011, Mark was Executive Director at Capita Symonds for 3 years where he created and managed its £80m pa Real Estate Division, including the successful acquisition and integration of NB Real Estate (previously Nelson Bakewell). Before joining Capita he was Real Estate Investment Director at HSBC Specialist Investments from 2005 to 2008, and prior to that was at Trillium for 8 years as Regional Operations Director and then Head of New Business where was responsible for a number of Trillium’s largest and most complex property transactions. Mark is experienced in all aspects of the real estate and energy markets including business strategy, organisational leadership, deal development and execution, financial analysis, project funding, corporate structuring and asset management. His real estate investment portfolio includes the BBC’s £250m Media Village at White City London, the UK’s first leasehold liability transaction for Barclays Bank’s London estate, and various corporate sale and leasebacks. He has also managed a number of long-term property PFI schemes including the Department for Work and Pensions occupational portfolio in the UK. 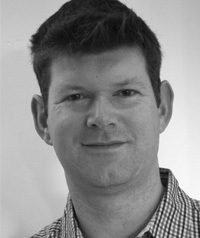 Mark’s earlier career included 8 years as Major Projects Manager with Shell UK (Emstar – which eventually became part of Vivendi) developing supplier-financed energy supply and efficiency schemes including industrial Combined Heat and Power plants for Astra Zeneca at Grangemouth and Huddersfield, and Short Brothers in Belfast. Mark is a graduate of Strathclyde University (BSc Hons) and Glasgow University (MBA with Distinction). Mark has a Ducati 998 and has ridden the Isle of Man TT circuit. In a kilt. Mark’s unique skill set combines proven professional experience in commercial real estate and energy with financial analysis and modelling which he has specialised in for the last 10 years. He originally qualified as a Chartered Surveyor with Knight Frank in 1998 and then moved to Cushman and Wakefield’s Advisory Group where he carried out consultancy work for a number of major clients before setting up his own niche consultancy business in 2006. Mark is able to develop and apply bespoke models suited to every aspect of capital projects including investment acquisition, development appraisal, project analysis and funding, corporate finance and accounting impacts for clients including investors, developers, corporate occupiers and banks. His financial analysis experience includes investment and asset management projects across the UK and EMEA markets. Mark’s track record includes modelling some of the largest, most complex transactions in the UK with particular experience in building scalable models that aggregate large numbers of individual capital objects into portfolio analysis tools, whether they be debt tranches, leases, operational income streams or any other assets. Most recently Mark has built the acquisition model for the successful bid to purchase the London Olympic Athletes Village and also Development Appraisal tools for over £1bn of Shopping Centre schemes. Did you know? Mark owns nine bicycles, and rode one of them 5,000km across Spain and France for 2 months with just 10Kg of kit and only one gear. 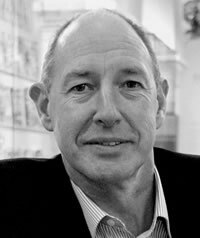 Mike is a Chartered Surveyor and Chartered Builder with over 30 years general experience in the property industry, and has specialised for the last 16 years in the prime London residential market. 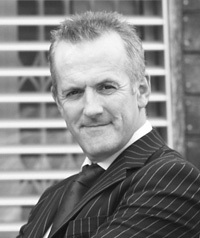 His multidisciplinary development and project management knowledge is extensive across the commercial, industrial and retail real estate sectors, having led many refurbishment and development schemes, steering them through from inception, appraisal, acquisition, design, planning, procurement and construction to eventual delivery and occupation. Mike has operated on ‘ both sides of the fence’ from both a consultant’s and client’s viewpoint and brings a balanced, determined, hands on and practical approach to all of his projects. In prime residential real estate he has been responsible for the development and delivery of some of London’s most iconic developments including the Phillimores, Phillimore Square and most recently The Lancasters – an iconic redevelopment scheme overlooking Hyde Park and Kensington Gardens. Mike holds a a BSc( Hons) in Valuation and Estate Management, and is a Member of the Royal Institution of Chartered Surveyors, and also the Chartered Institute of Building. Did you know? Mike has a keen interest in rugby – but more in watching than playing these days. 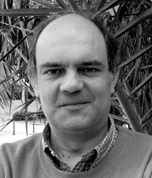 Victor holds a Bachelor in Business Administration for the University of Oviedo with the major in audit and accounting, an MBA from the Escuela Europea de Negocios and is a member of the Spanish Register of Auditors. He started his professional career in PWC in the audit and corporate finance department, specialising in the engineering and building sectors in projects with Corporación Masaveu, Hilti, ACS, Duro Felguera, and Imasa. In 1997 he set up his own buisnesses – a portfolio management business specialising in small and medium companies with growth potential (sold to a Spanish savings bank in 2004) and a consulting division specialising in corporate finance. In the last 10 years he has been involved transactions in engineering, traditional construction, modular building construction, and distressed real estate assets. 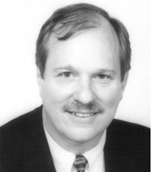 Mike is an energy infrastructure developer with over 35 years experience in executive management, commercial development and engineering design of energy related projects. He has commercially developed and financed eight projects totaling $2.6billion including the 400MW Tynagh Energy CCGT in Ireland, the 530MW ISAB Energy IGCC in Italy, the 230MW Derwent Cogeneration Project in the UK and the 180MW Doga Enerji Cogeneration Project in Turkey along with four other projects in the US and Spain. Mike uses his extensive international experience to evaluate market conditions and identify, assess, commercially develop and finance energy infrastructure projects.